"Karl Urban Will not Remove His Helmet or Kiss his Co-Star!" Judge Dredd Creator Talks 'DREDD'! Lionsgate's re-boot of the popular 2000 A.D. character Judge Dredd arrives later this year. 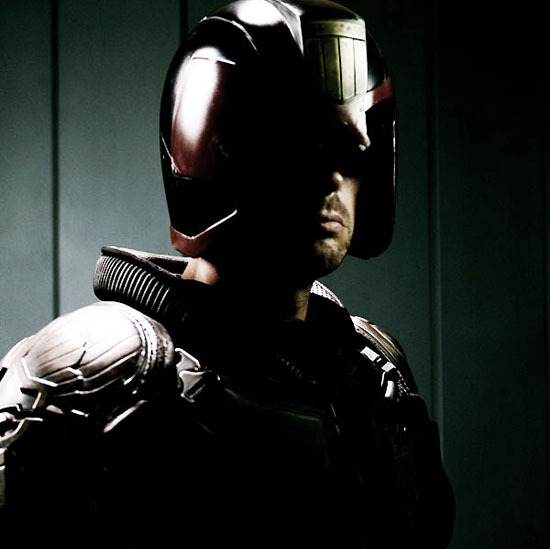 The movie sees Karl Urban donning the iconic helmet, starring alongside Olivia Thirlby as Judge Anderson. HeroComplex recently spoke with John Wagner who way back in 1977, created the character alongside artist Carlos Ezquerra. Hit the jump for the details. Wagner: "Dredd' homes in on the essential job of judging," states Wagner "Instant justice in a violent future city... The plot is about Dredd and his world. It’s impossible to cover every aspect of the character and his city. Perhaps that was one of the failings of the first film. They tried to do too much and ended up with not a lot." The ramifications of the disaster that was the 1995 adaption which featured Sylvester Stallone as Dredd. Wagner: "My views haven’t changed," he explains, "though apart from my initial viewing I haven’t seen the film since it came out. They told the wrong story. It didn’t have that much to do with Dredd the character as we know him. I don’t think Stallone was a bad Dredd, though it would have been better and lent him more cred if he hadn’t revealed his face. He was just Dredd in the wrong story. I envy their budget, though. Some of the CGI was very good, and the re-creations of the Angel Gang and the robot. The robot actually came from a Pat Mills story and didn’t belong in Dredd, but it looked good. If the plot had revolved around characters like them the film would have been more successful." The hope for the new version. Wagner: "I like the actors," he says. "They’re well cast and they handled their parts well. Olivia Thirlby is perfect as Anderson, the young psi judge. She gives the character a touching vulnerability. Karl Urban will not remove his helmet and will not kiss his costar." Dredd also stars Lena Headey & hits theaters in 2D & 3D on September 21st. Synopsis: "DREDD takes us to the wild streets of Mega City One, the lone oasis of quasi-civilization on Cursed Earth. 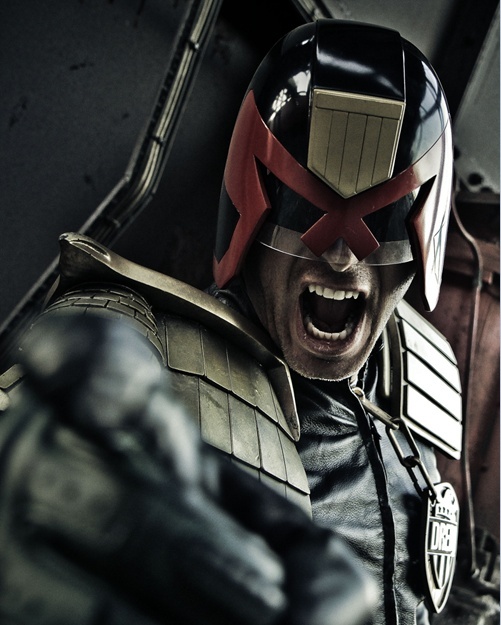 Judge Dredd (Karl Urban) is the most feared of elite Street Judges, with the power to enforce the law, sentence offenders and execute them on the spot – if necessary. The endlessly inventive mind of writer Alex Garland and the frenetic vision of director Peter Travis bring DREDD to life as a futuristic neo-noir action film that returns the celebrated character to the dark, visceral incarnation from John Wagner and Carlos Ezquerra’s revered comic strip." I'm reading: "Karl Urban Will not Remove His Helmet or Kiss his Co-Star!" Judge Dredd Creator Talks 'DREDD'!Tweet this!